The Dutch and Norwegian electricity grids have been interconnected by the NorNed cable since 2008. The NorNed cable is 580 km long and has a capacity of 700 MW, making TenneT and our Norwegian counterpart Statnett the joint owners of the world’s longest high-voltage subsea direct current link. The NorNed cable is used to import and export electricity to and from Norway and the Netherlands, in line with the European Union’s policy to integrate markets and encourage free-market operation. 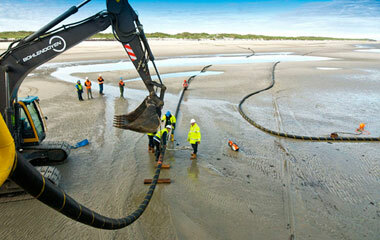 In addition, the NorNed cable provides greater security of electricity supply in the Netherlands and Norway. 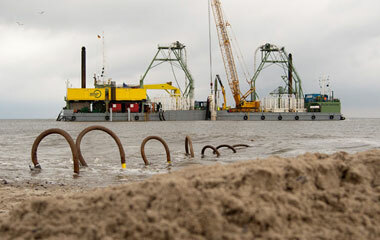 The Netherlands imports renewable hydropower from Norway via the NorNed cable. Hydropower is easier to control than unpredictable wind power, allowing Dutch plants to operate more consistently and efficiently. With hydropower, peak loads can be managed in the daytime, when Dutch electricity consumption is higher, while Dutch electricity can be sent northwards at night when Norway generates less hydropower. This ability to balance Norwegian and Dutch power sources also contributes to lower electricity prices in the two countries. Capacity and electricity on the NorNed cable are traded through an explicit auction system. 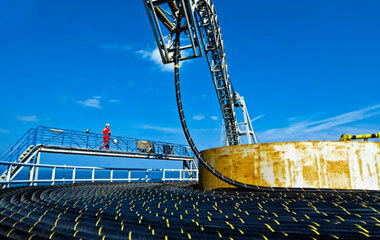 Initially these auctions were jointly organised by TenneT and Statnett. Today, they are run by the APX power exchange. TenneT uses its half of the NorNed revenues to fund its investment projects via Stichting Doelgelden (a foundation for the management of allocated funds). This two-way 1,000 MW high-voltage connection has a length of 260 km and runs from the Isle of Grain (in Kent) to Maasvlakte (near Rotterdam). The operational and technical management of the cable is in the hands of BritNed Development Ltd, a joint venture of British energy company National Grid and TenneT subsidiary NLink International. The exchange of power enabled by NordLink will increase security of supply for the German and Norwegian grid and will allow exchange of renewable energies, especially hydroelectric power and wind power, between both countries. In addition it will give more stable electricity prices on both sides and, further on, also will facilitate European market integration. The COBRAcable will have a capacity of approx. 700 MW, will be around 325 kilometres long, and will run from Eemshaven (the Netherlands) to Endrup (Denmark) via the German sector of the North Sea. Two onshore converter stations – one in the Netherlands and one in Denmark – are needed to connect the cable to the existing grids.